Donald Takayama's BLACK LONGSLEEVE T-SHIRT in 100% cotton. 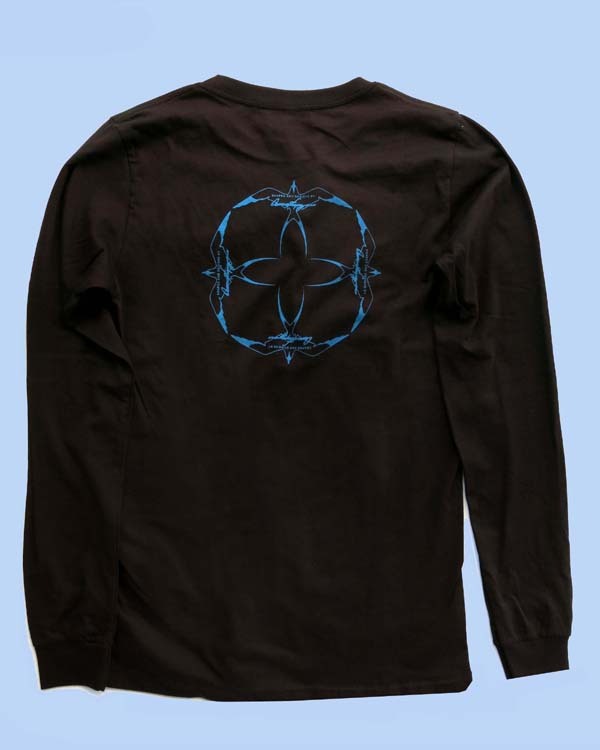 Blue logos, Donald's signature on front, Ocean Terns circle on back. Produced by Hawaiian Pro Designs of Oceanside, California. Limited sizes and quantities; this is a small-run shirt design!